A few days ago we celebrated the Feast of Sts. Peter and Paul. While examining the life of Peter, we were introduced to a man who, when called by Jesus to follow him, did just that. The Bible tells us he did so without hesitation, without question. He gave up a prosperous career as a fishermen, and he gave up his own family to follow Jesus. In today’s Gospel reading, we here this echoed again. Leave your parents, leave your family, leave everything you know and hold dear to you to follow Jesus. Our God has always been a selfish god. We were created in His image and our existence is solely to worship Him. We were not place on this planet to become the most successful, to become rich, to be the most famous. We were created only to worship God. Think about that for a moment. We were created ONLY to worship God. When you are frustrated and overwhelmed by feeling like you have to have the fastest car, the biggest house, the fanciest clothes, the most prestigious job….remember NONE of that matters! Our entire purpose in life is to love God and love others! In these two verses we learn how to treat others. Especially those who are less fortunate than us. They teach us hospitality. One of the greatest examples of how we are to be a host to others and how we are to treat others is found in the story of Sodom and Gomorrah. Being raised in a conservative Protestant denomination, I was always taught that God reigned down Hellfire and Brimstone upon the cities for the sin of Homosexuality. I’m sure most of you have heard this before and sadly some of you may still believe it. However, this was not the case. God’s disappointment was over the violation of strict hospitality laws. They were to welcome the stranger. Wash the dust from their feet, offer them the softest pillow to sit on, serve them the finest food and wine, and offer them protection under your tent. When the men of the city came demanding that the two Angels of the Lord be given over to them so that they may “know them” in the Biblical sense, was a clear violation of the hospitality laws. Although the act would be sexual by nature, they wished to “know them” only as a way to mock them and to degrade them. A way to show dominance. True, there were many other sins being committed within the city walls, but Homosexuality was NOT the reason for the city’s destruction. So we are to welcome others in the name of Christ Jesus and to offer food and drink to those in need. 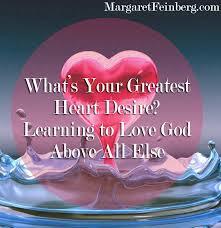 We are to love others as God loves us and we are to love God above all others. We are to put down our nets when He calls and follow Him. No questions asked. “Whoever welcomes you, welcomes me.” This is a powerful verse and one that we here in the Unified Old Catholic Church strive to follow in all we do, in who we are, and in how we treat others. We are a welcoming church. A church that does not discriminate. We don’t care if you are male, female, gay, straight, young, old, rich, poor, black or white. ALL are welcome in our church, just as ALL are welcome at the Lord’s table and into His heavenly kingdom. “Whoever welcomes you, welcomes me.” On behalf of the Unified Old Catholic Church of Christ, I welcome you! If you are seeking a church home, a family….then look no farther. We are here for you. We love you. Just as you are. With all your flaws and imperfections. We welcome you, just as Jesus welcomes you. With open arms, with acceptance, with understanding and most importantly….with LOVE! Come to the loving arms of Jesus and find comfort in this, your new family.